Ceremony : ‘The Asylum’, Caroline Gardens Chapel, Peckham, London. Reception: Hixter Bankside. March 2019. 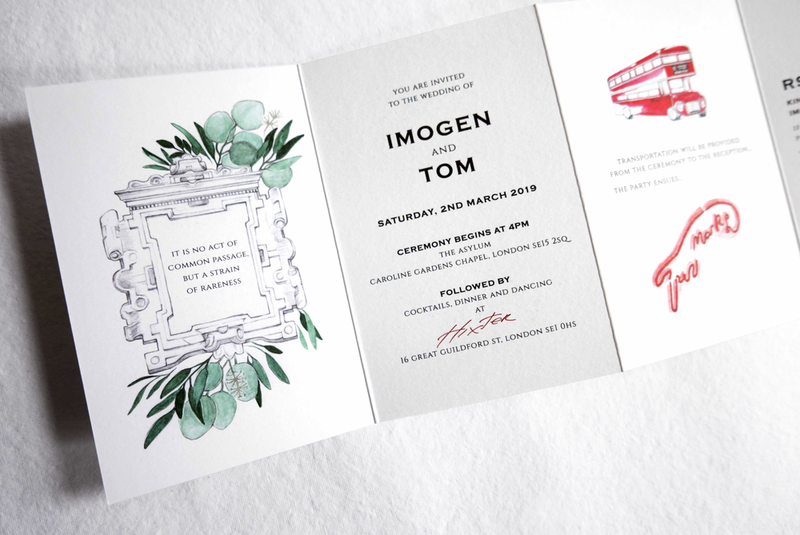 Fold-out, accordion fold invitation with illustrated elements from the alter of their historical venue, Shakespeare quote engraving, greenery and vintage routemaster buses that will transport their guests from the ceremony to the after-party on the day.